Megumi is an all-star athlete, but she's a failure when it comes to physics class. And she can't concentrate on her tennis matches when she's worried about the questions she missed on the big test ! Luckily for her, she befriends Ryota, a patient physics geek who uses real-world examples to help her understand classical mechanics-and improve her tennis game in the process ! 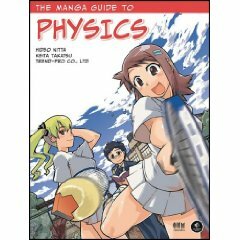 In "The Manga Guide to Physics", you'll follow alongside Megumi as she learns about the physics of everyday objects like roller skates, slingshots, braking cars, and tennis serves. In no time, you'll master tough concepts like momentum and impulse, parabolic motion, and the relationship between force, mass, and acceleration.